A beautiful and early example of the Art Moderne architectural style from the early 20th century. 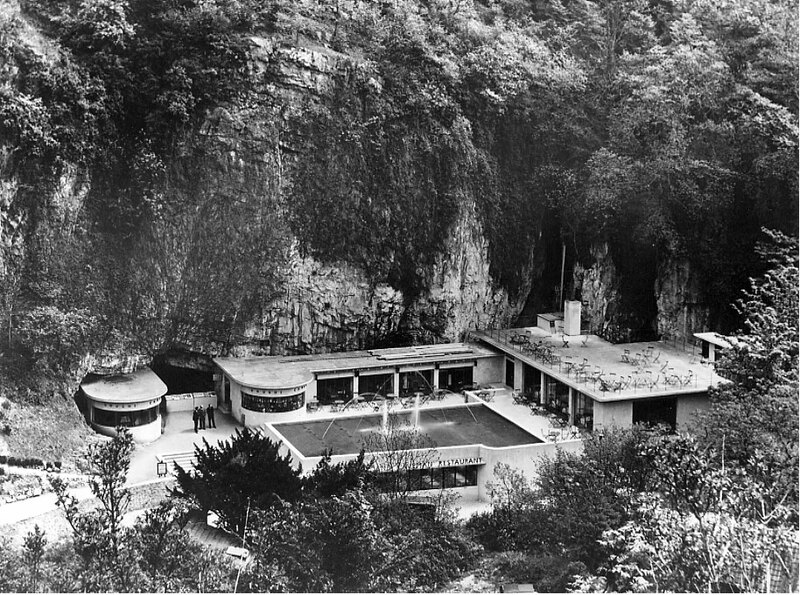 The Caveman Restaurant in the Cheddar Gorge Caves (Somerset England) designed by architects Sir Geoffrey Jellicoe (1900-1996) and Russell Page (1906-1985) in 1934. The restaurant featured a glass-ceiling through which visitors could observe the modernist reflection pool with fountain. Unfortunately, the building has been completely modified and the modernist reflection pool was filled in many years ago.